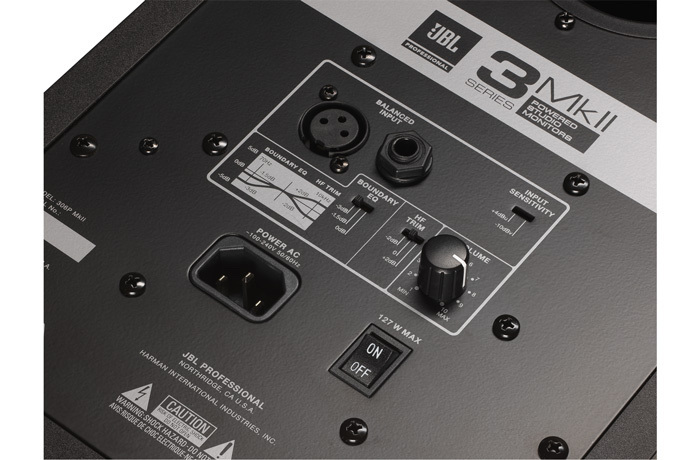 In our recent roundup of 2 way monitors the name JBL came up in the comments as a notable omission. This caught my attention as for a long time I had seen JBLas admittedly very tough but rather unsophisticated. In retrospect this probably came from my familiarity with the Control series of contractor loudspeakers and my assumptions were confronted and completely revised when I heard a pair of M2 Master Reference monitors. They are everything a large, main monitor should be and sound just brilliant. One of the most notable features of the M2 is the large, distinctive Image Control Waveguide, which was originally designed to complement a new compression driver design. While the 306P MKII has very different drivers to the M2, some of the benefits of the new design of waveguide carry benefits which aren’t specific to the compression driver found in the M2 and have been implemented across the whole range of these 3 series speakers, currently available in 5, 6 and 8 inch varieties. What Is A Waveguide Anyway? In the past I’d assumed that a waveguide was the same thing as a horn. This isn’t the case. While all waveguides are horns, not all horns are waveguides. Anyone who has ever rolled up a newspaper and shouted down it will understand how horns are loading devices, which can be used to “make stuff louder” (excuse my technical language). A waveguide controls directivity, which while related to loading, isn’t the same thing. An ideal loudspeaker behaves as a point source, with all frequencies spreading out evenly in all directions. Just walk around a speaker and it’s clear that this doesn’t happen. We all know that bass frequencies are effectively omnidirectional. In a typical 2 way speaker design the bass/mid driver operates beyond this range and as frequencies get higher the dispersion of the speaker narrows. At the crossover between the bass/mid driver and the physically very different HF driver, there will be a discontinuity in terms of the dispersion pattern between the two drivers. This is one of the things a waveguide can help with. By carefully controlling the dispersion pattern of the HF driver with the highest frequencies handled by the bass/mid driver and matching that dispersion pattern, the off axis sound is better controlled and more consistent resulting in a wider sweet spot at the listening position. The 306 is lighter than I expected, probably due to the use of class D amplifiers in a not too heavily built wooden cabinet. They are bi-amplified with two 56W amps each. The gloss black baffle, while striking might not be to everyone’s taste. My partner referred to them as “a bit Darth Vader” which was extremely funny, and unusual for her to have an opinion on such things. The bass/mid driver is a 6.5” long throw driver which, in this generously sized rear ported cabinet, is good down to 47Hz (-3dB). 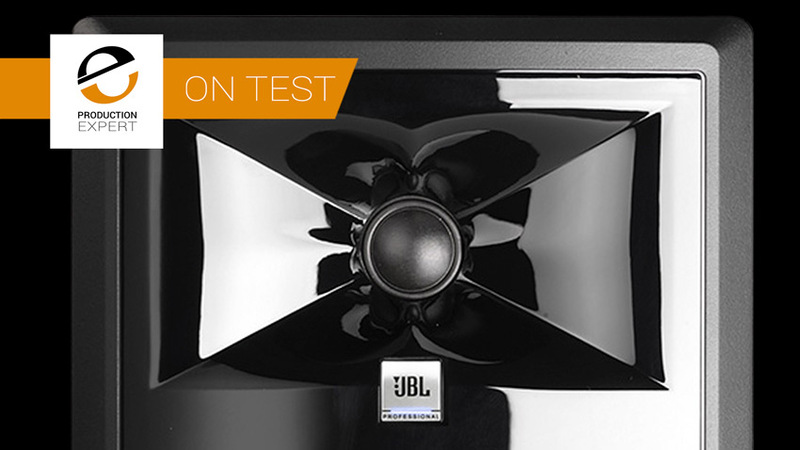 The soft dome tweeter is surrounded by the large, visually striking Image Control Waveguide and between the two there is a silver JBL logo which contains a white LED power indicator. In addition to the large, rear facing port, the rear panel has XLR and TRS inputs, two 3 position EQ trim controls for HF and LF and, very usefully, a detented volume trim pot, making matching levels between the two speakers more straightforward. Input sensitivity is switchable between +4dBU and -10dBv and power via the Integral IEC is switchable via a rocker switch also on the back. First impressions are very good indeed, there is a pleasing impression of detail at the top end and an impressive amount of genuinely deep bass from this medium sized two way design. Listening through some well known references confirmed that, as promised, the sweet spot was wide and even, though I did notice that I could easily identify when I was directly level with the speakers when moving vertically up and down with my eyes closed which suggests the dispersion isn’t as constant vertically as it is horizontally (I’m glad no-one was watching this series of slow crouches but that’s another story). An initial impression of brightness was improved by setting the HF trim control to -2dB and due to the proximity to the rear wall the sound was more balanced with the boundary EQ set to -1.5dB. My first impressions in this (unfair) shoot-out were that the 306’s were a little scooped through the lower midrange and a bit hot in the 2.5KHz region. The bass extension I’d noticed was still in evidence though there was a noticeable lack of energy in the top of the bass around 250Hz. Running the monitors a little harder I occasionally noticed the bottom end lose it’s composure a little suggesting that the porting was running out of control occasionally. Maybe I need to stuff some socks into the ports. ABing between the two pairs of monitors I found the timbral differences were influencing my mix decisions a little, particularly a rock track with female vocals where the perceived lightness of the 306’s made me choose a slightly higher level for the vocals when using the JBLs. Which level was right is up for debate but that’s the nature of subjective mix decisions and differences between monitoring systems. If you’ve read the previous paragraph and are thinking “Oh, I see, these monitors aren’t good then” I have to refer you back to the paragraph before where I say that I’m comparing an inexpensive pair of monitors which cost under a seventh the price of the professional 3 ways I’m comparing them to. The fact that I’m only finding some reasonably subtle differences between the performance of these monitors is nothing short of amazing! These monitors are under £400 a pair! A fairer test would be between the 306s and an extremely old pair of active two ways with a similar complement of drivers. In this case the timbral differences were reduced considerably but other differences were still apparent. The most striking impression I was left with when switching between the monitors was an impression of detail and a shift in imaging. I’d expected to hear the 306’s as brighter but the difference wasn’t in the extension at the top end as much as the presentation of the high frequency information. The transients were just a little snappier and this combined with the uncluttered midrange gave an impression of clarity which was very helpful. The stereo image sounds just a little wider and the phantom centre slightly different, like changing the panning law in a mix. Given the choice between the two monitors I found there was next to nothing in it in terms of which I preferred, and it was definitely a preference, one wasn’t objectively better. This is a surprising result given that these particular two ways when new were considerably more expensive than the 306’s. Should I Buy The JBL 306P MKII? The 306 MKII are as cheap as monitors get. Anything significantly cheaper than this starts to cross over into computer speaker territory, and as such they occupy a crowded part of the market where until recently there weren’t any products I would recommend without serious reservations. When I used to teach I was often asked by students for advice on buying a first pair of monitors and I used to advise people to wait until they had enough to access what I saw as the first rung of “proper” monitors which started at around £600. I would recommend the 306P MKII’s to anybody, without reservation. 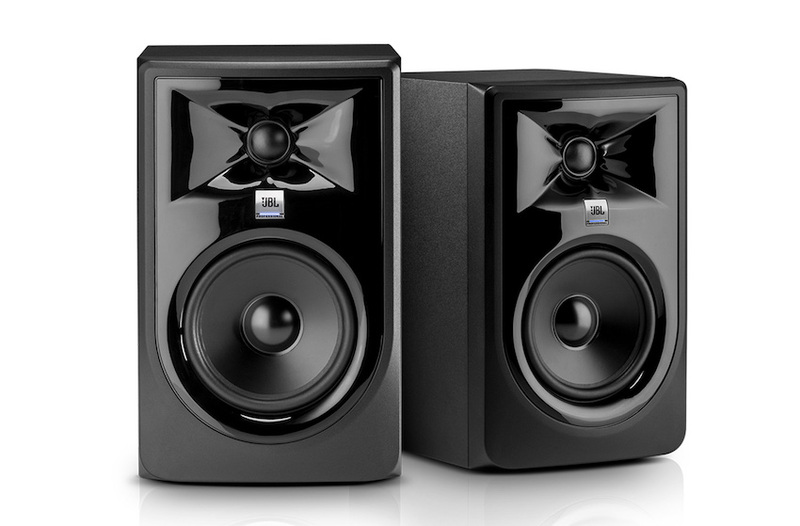 To someone starting out they would be a perfect first pair of monitors and to the seasoned pro with a nice pair of monitors already these would be a useful B pair or for anyone interested in exploring surround or Atmos, the cost per channel is low enough to remove the barrier to entry presented by the cost of monitoring. Just get some, you simply won’t believe how good they sound for under $200 per box!